Danville The city of Danville is located on the Dan River. It is bordered on the south by the North Carolina state line. The city is surrounded on the west, north and east by Pittsylvania County. The Danville Science Center is located in a renovated, historic train station. It is the first satellite of the Science Museum of Virginia in Richmond. And one of the most popular places for family fun is the Butterfly Station and Garden. Danville is the Birthplace of Lady Astor, the first woman to serve in the British House of Commons. Her sister was the famous "Gibson Girl," the idealized woman of fashion during the early 1900s. 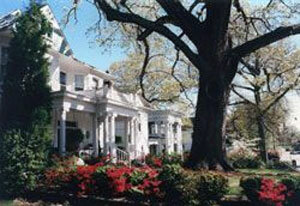 Millionaires Row is a distinctive neighborhood and a symbol of Danville's and the South's history. At least one house has a place in the chronicles of the Civil War and many were built by those who prospered from tobacco and the entrepreneurs who formed the future of Dan River, Inc.